Greetings from SDN OpenFlow World Congress 2016, after a busy week when the entire industry came together to discuss, present and exchange views on SDN and NFV. Our industry is confronting perhaps its biggest-ever evolution – the transition to software-defined networks – and this event was a great place to discuss the implications. 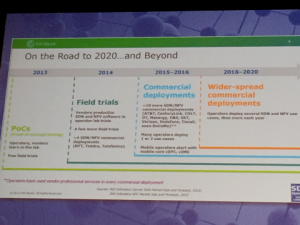 At the show, we got further insights into NFV/SDN proof of concepts and field trial experiences, but we also learned about several existing commercial launches in the areas of vCPE, vEPC, vIMS and vCDN. Without a doubt, many operators are moving past the trial stage and are deploying SDN and NFV in the real world. Running from 10-14 October in the World Forum in The Hague, Netherlands, Layer 123’s SDN World Congress brought together more than 1,600 industry experts. 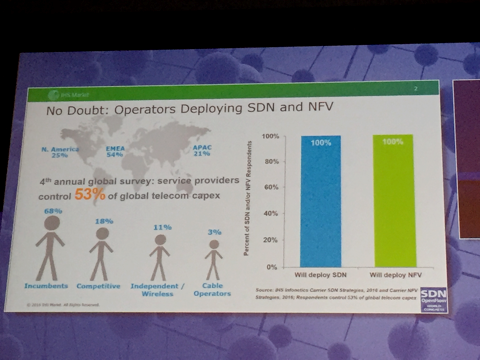 The event’s main message was simple: more industry players than ever are looking into NFV and SDN, and they are part of a tremendous journey that will change the industry fundamentally and forever. Customer needs are changing rapidly, with a strong preference toward digital-first experiences. You can thank the influence of over-the-top (OTT) cloud service providers for that. Unsurprisingly, a lot of talk at the event was about delivering a superior customer experience through a more agile and elastic network environment. SDN and NFV are not goals to be achieved, but rather the means to service transformation to better the personal customer experience. But, SDN and NFV are about more than technology evolution; they represent a paradigm shift that will change how future operators and businesses will work. Technology is a big part but people, processes and organisation are even bigger. The business case-led way of thinking and working is growing stale, as it’s unrealistic to build a “business case per network function” as we’ve learned in dusty old presentations about network management. We heard a lot about the idea of vendor interoperability, or what is described as building a multivendor-proof network. This characteristic is a must-have, since avoiding vendor lock-in is one of the biggest benefits of NFV and SDN technologies. These benefits exceed the traditional single-vendor network approach in every sense. Of course, it won’t be easy to create a multivendor-proof network. It will require technology standardisation, cooperation, open source principles and set of defined interfaces: APIs. But it’s clearly the way the industry is headed, and the only way we will achieve the full benefits of virtualisation technology. There was plenty of talk about the key role standardisation will play. Organisations like MEF Forum, Open Source MANO (OSM), the European Telecommunications Standards Institute (ETSI), OPEN-Orchestrator (OPEN-O) and the Open Networking Foundation (ONF) are leading the way. Comptel is involved in several of these groups, each of which focuses on its individual areas of expertise while encouraging collaboration, information sharing, discussion and debate. Ultimately, standardisation is advancing the multi-vendor and open-for-all approach to network design in acknowledgement of the desire for interoperability. The nature of cooperative work within our industry is changing given this emphasis on multivendor networks. NFV and SDN are bringing companies together, leading to the creation of industry blueprints, proof of concept trials, and field experiments. 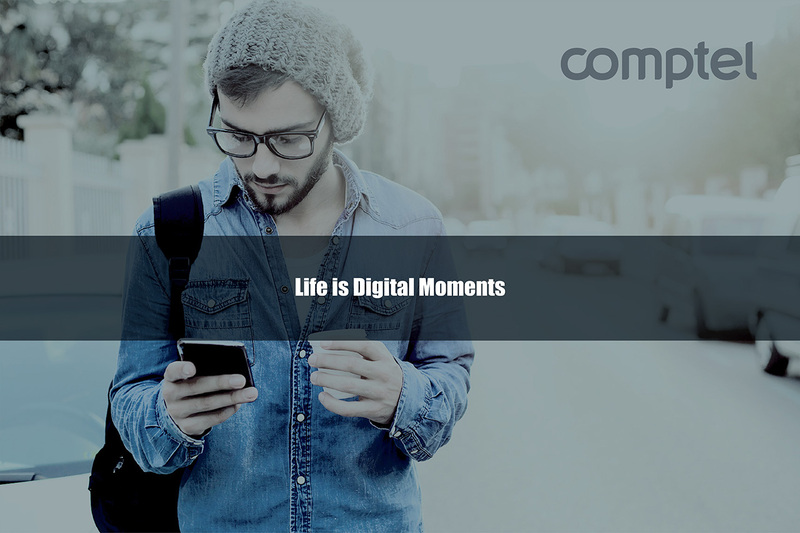 Comptel is already involved in several, in fact. Many industry players at the event underlined the importance of automation and orchestration, driven by real-time analytics that rely on data and closed-loop processes to improve customer experience. They also advocated end-to-end seamless orchestration across new virtual and established services. “Operations are the elephant in the room,” as one analyst aptly described significant operational concerns. Centralised and coordinated control and orchestration are the key assets that allow digital service lifecycle management in a hybrid network environment. The “orchestrator of the orchestrators” will be the enabler by providing a holistic, end-to-end view the dynamic digital services in multidomain networks. NFV is going to happen; there’s no lack of confidence in the actual value of the technology. Of course it’s worth keeping in mind that it’s still early days for NFV, which remains an immature technology before standards become clear and stabilised. The switch to virtualisation is both a technology and business challenge but even more it’s about culture, people, processes and trust. The true value of virtualisation comes back to the customer: you and me. At the end of the day, successful transformation will be about education, experimentation and strong relationships. 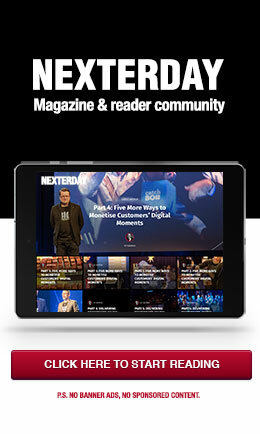 Network virtualisation will be a hot topic at Nexterday North 2016, which runs from 28-29 November in Helsinki. Register now to reserve your spot at the show.